Spider veins, as their name suggests, are some veins that look like a spider. In fact, spider veins are tiny, warped blood vessels that are able to be seen through the skin. The color of spider veins can be red, purple, or blue; most often appear on the legs or face. This kind of veins can appear on any part of the body. In general, spider veins appear on the back side of the legs and thighs. The appearance of veins in a spider-like pattern makes our skin look odd to others. The following are some known causes of the spider veins. How to Avoid Spider Veins? The most commonly used laser for the treatment of spider veins is Nd: YAG Laser system. We also use CANDELA GENTLEMAX LASER in some cases. The aim of the treatment is simple. The laser treatment for spider veins tries to make spider veins less prominent in one or more sessions. By taking this treatment you will be able to get rid of spider veins. You will be able to wear a dress of your choice. You will be able to wear shorts or mini skirt. There are two advanced treatments for spider veins problem. One is called sclerotherapy for spider veins and the other is called laser therapy for spider veins. In sclerotherapy, a professional injects a liquid into the veins to do away with spider veins. It does not require anesthesia and can be done in your doctor’s office. It involves minimal side effects such as swelling, itching, and change of skin color in the treated area. The most advanced method to make spider veins less prominent or disappear is the laser spider veins treatment in Dubai. It is also performed on an outpatient basis and the patient will be able to leave the clinic at the end of the treatment. The procedure is safe, simple, short, and effective that requires no anesthesia. Only a numbing cream would be enough to keep the patient calm during the treatment. A related skin condition is varicose veins. The laser treatment to cure varicose veins can be divided into two kinds. One kind is called simple laser treatment, and the other is called endovenous laser treatment. A simple laser treatment is performed on outside of the skin. An endovenous laser treatment is performed on larger varicose veins in the legs. We recommend a laser treatment to remove spider veins, because it delivers better results than other options. There is no intensive preparation required to take a laser spider vein removal treatment in Dubai. You will have to take care of some pre-operation instructions by your doctor. In general, the laser treatment for spider veins is quite easy to perform. The patient just need to lie and the professional will perform the treatment in a few minutes. The laser light will slowly make the spider veins fade or disappear. The professional will start the treatment by applying a numbing cream to the skin. Then he or she will use a laser device on the area of the body where spider veins are located. The treatment is very simple and takes very short time to perform. Only some minimal side effects can appear on the skin. Side effects may include redness, bruising, itching, swelling, and skin tone changes. Laser treatment is a highly effective way to treat spider veins. Laser effectively damages the abnormal veins without causing any danger to surrounding skin. The most commonly used laser for the treatment of spider veins is Nd: YAG Laser system. We also use CANDELA GENTLEMAX LASER in some cases. The treatment is performed on an outpatient basis, therefore there is no downtime involved in laser spider veins treatment. 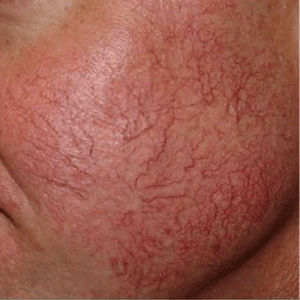 The laser used n this treatment is quite advance and delivers no harm to the skin. Therefore, neither it involves any pain nor any side effects. In general, more than one session is required to completely remove spider veins. Some kinds of spider veins take months to go away. The treatment delivers the best spider veins removal results. A laser treatment for spider veins carefully removes the appearance of spider veins without damaging the skin or any other part of the body. No anesthesia is needed to perform because the treatment is painless. On the other hand, the treatment is short and no clinic stay is needed before or after the treatment. The cost of spider veins treatment varies from person to person. It happens because the cost depends on some variable factors. Moreover, the cost of spider veins treatment in Dubai varies from clinic to clinic. 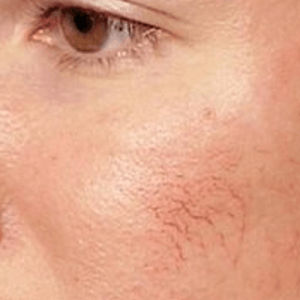 If you are interested in knowing more about this treatment and its cost, you should contact your doctor or contact Laser Skin Care Clinic Dubai in confidence today and let us help you with this. Laser Skin Care Clinic has aboard some of the finest dermatologists in Dubai. ­­­Spider Veins Treatment in Sharjah and Abu Dhabi might interest you, that is why we also offer this treatment there. You are always welcome to contact us if you need more information. For a better understanding of the treatment, please feel free to sign up for a free consultation with one of our experts. I had visible purplish-red veins near my temples. I consulted different doctors but they all said they were too close to eyes to be treated with lasers. But Katrina Valente did it so carefully and successfully that just three sessions gave me desired results and my eyes and eyesight remained totally intact. If you have any vein problem, you can confidently consult Katrina Valente for laser therapy. I had my superficial veins removed from the sides of my nose earlier last year and I am extremely satisfied with the results. People say that spider veins start coming back after treatment but in my case this never happened. It’s been almost a year now and the area around my nose is as clear as it was before the development of those bluish veins. I strongly recommend Laser Skin Care for spider veins treatment as well as other skin issues.